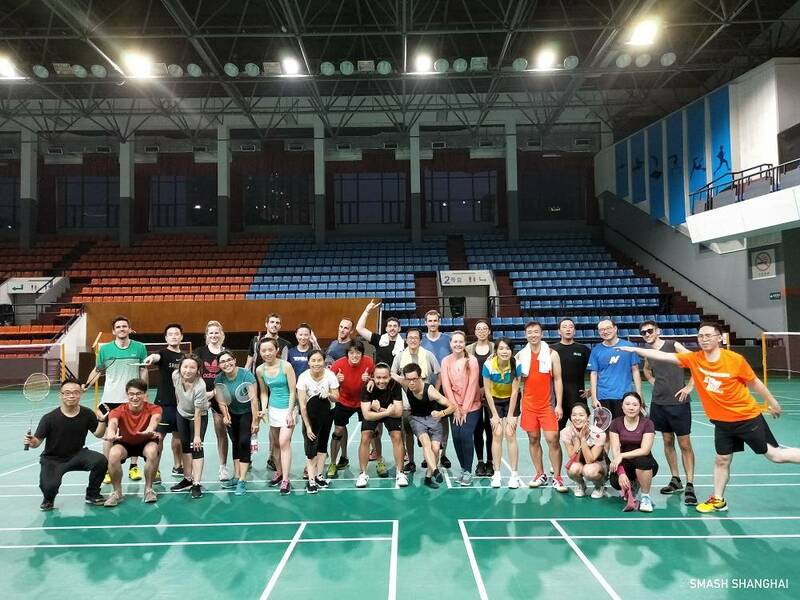 Smash Shanghai is a badminton club with 400+ members, 120 people active every week, from beginner to advanced level, coming from 30+ different countries! Our purpose is to let people enjoy badminton and build new friendship. We aim to offer the best badminton experience to every member; including sweating enough on the court and making new friends around a good meal after the session. Every session is organized by a session manager to offer the best service and make sure all the players enjoy the sport. Smash Shanghai currently has 6 sessions every week, located in different gyms and at different time, to make it convenient for everybody. We also have special tournaments for advanced people, single games for those who like challenge, and trainings for players who want to improve. Whether you are an intermediate or a casual player, new to Shanghai or from Shanghai, we recommend you come and try one of our session! Grab your badminton racket and let’s get ready to SMASH! The ticket is valid for a regular session of your choice and should be used within a period of 1 month after the purchase. Once booked we will contact you to confirm the attending date or you can email us on contact@247tickets.com. *Please note that all tickets need to be confirmed before attending. Ticket includes water, energy drink, banana, court fee, shuttlecocks and racket if needed. *The time and location of this schedule are subject to change.